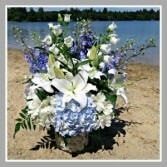 This selection of arrangements are appropriate for sending to a home. They are best displayed on a coffee table, counter or dinning table. 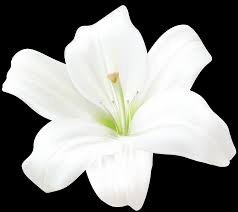 If sent to a funeral home service or church service they will be displayed on a side table and then taken home by the family members. This lush glass cylinder filled with white seashells, crisp blue hydrangea, white lilies, blue delphinium, white alstromeria and white canterbury bells. Exceptionally beautiful! 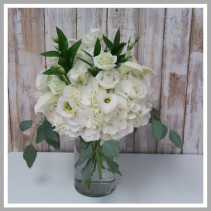 Clear glass cylinder filled with crisp white hydrangea, lisianthus and pixie calla lilies. 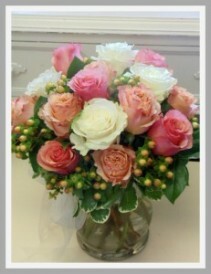 Lightly accented with eucalyptus and ruscus. Cool and Crisp, suitable to brighten anyone's day. A lovely assortment of white, blue and green hydrangea in a glass vessel. 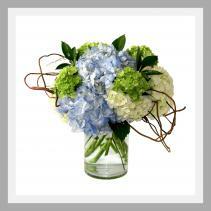 Accented with curly willow for a creative and elegant flair.